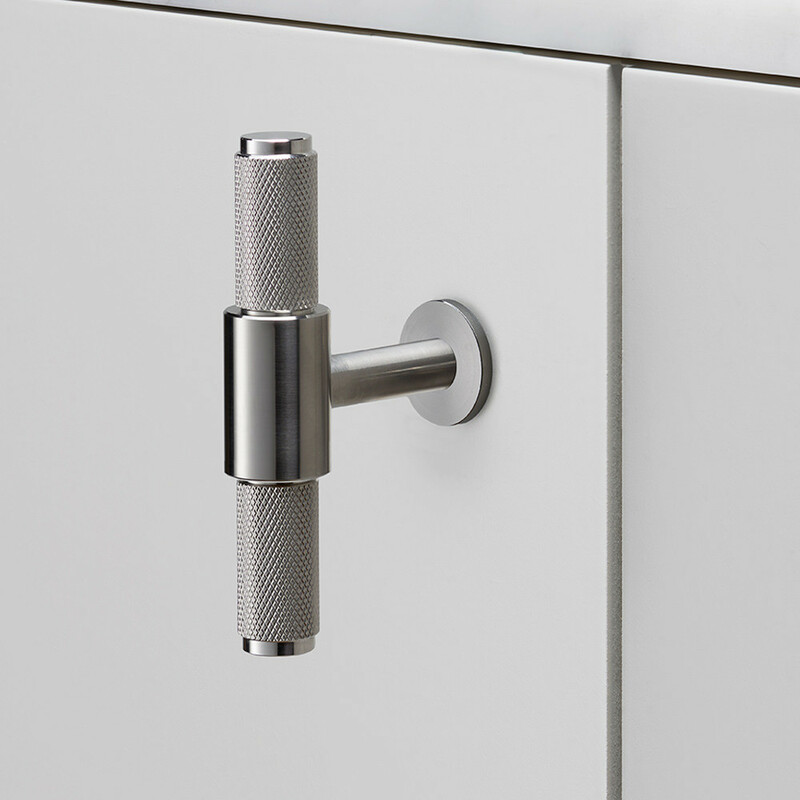 The T-BAR is produced out of solid metal, characterized by our diamond-cut, cross knurl pattern. 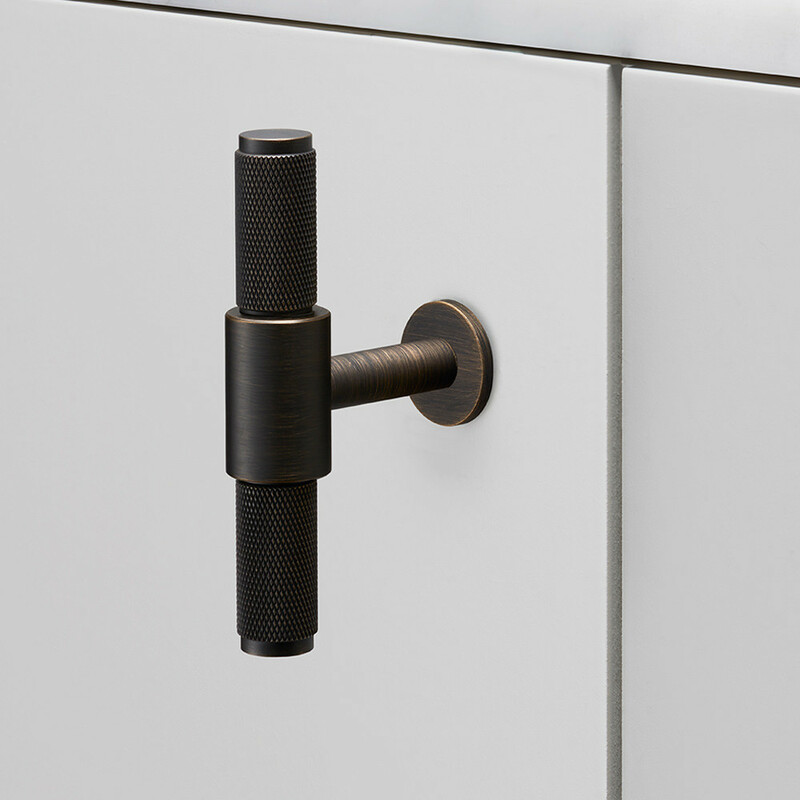 The T-BAR is available in four different finishes, including steel, brass, smoked bronze and black with the optional circular plate and penny buttons. Perfect for drawers, cabinets or as towel-hooks. 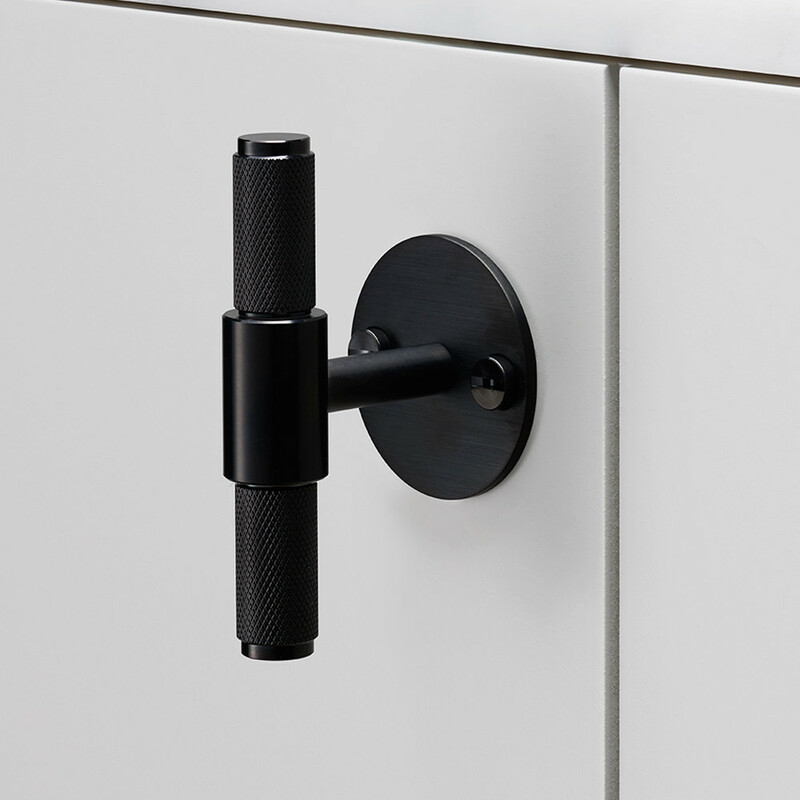 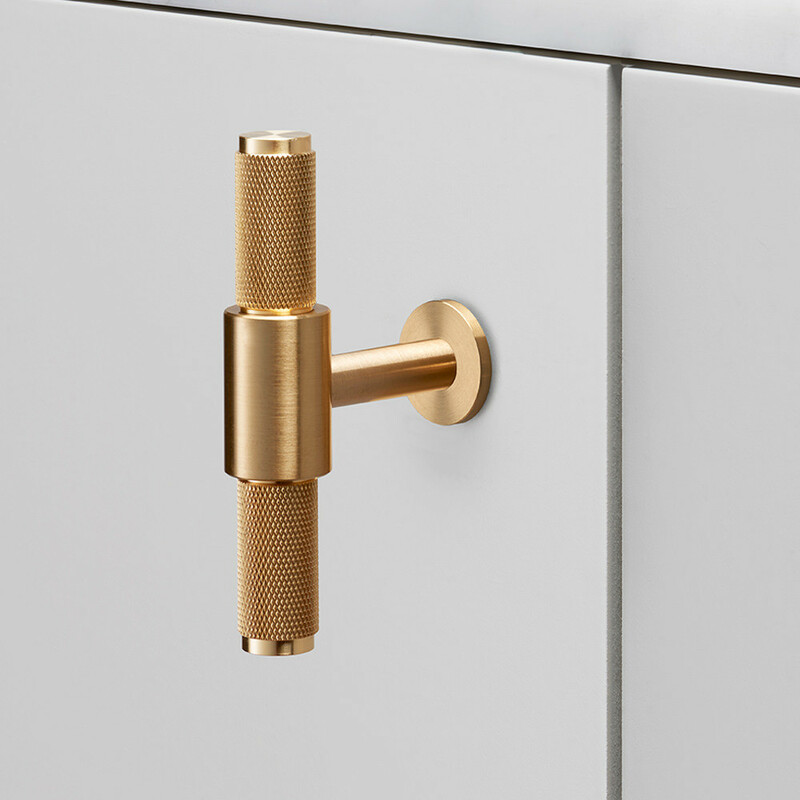 All of our HARDWARE ranges are designed to work together to provide some of the most important details of your home.